Our post-Comic Con celebration of come of our enormously talented, cross-media authors continues with an interview between Brian Michael Bendis, writer of Ultimate Spider-Man, Ultimate X-Men, Ultimate Fantastic Four and The Avengers, and Greg Rucka, whose first new thriller series in a decade kicked off with ALPHA, now in bookstores everywhere. Brian Michael Bendis: So we’re being honest with our reading audience. Last week you were cool enough to come to my class—I teach a class at Portland State—and you came there and dropped some truth bombs on them, and rattled them to the core. It was a lot of fun. But I had questions left over that we never got to because it was more of a free floating conversation, so there was questions I was going to ask, and I didn’t. And the primary question I had that I think is more pertinent to this conversation than the one we were going to have in front of the students, was if you’ve given thought to your goals as a novelist at this point. Like, there’s the goals that you had when you started, which was to get published—and now you’re starting a new kind of phase in your career, in that age we’re in, we get more introspective. OK, we’ve been published—now what? OK, I get to do this—now what am I going to do with it? So I was curious if you had given thought to that, or if you were bring more take it as it comes. Greg Rucka: You know, it’s weird, because coming into Mulholland, and Alpha is the first new series that I’ve done in over decade in novels, in prose. Stumptown was sort of the next step, but Alpha is the first in what is initially conceived of as the first of three novels, and may grow beyond that. I did give it some thought. There were two factors at work. The first is the obvious commercial one—you want to write something that’s going to be successful and you want to justify the publisher’s faith in you. You want to return them the money they’re willing to extend to you to write this thing, and most of the other novels are selling pretty well, but none of them have really broken out, and I’m not sure that’s a top agenda point. 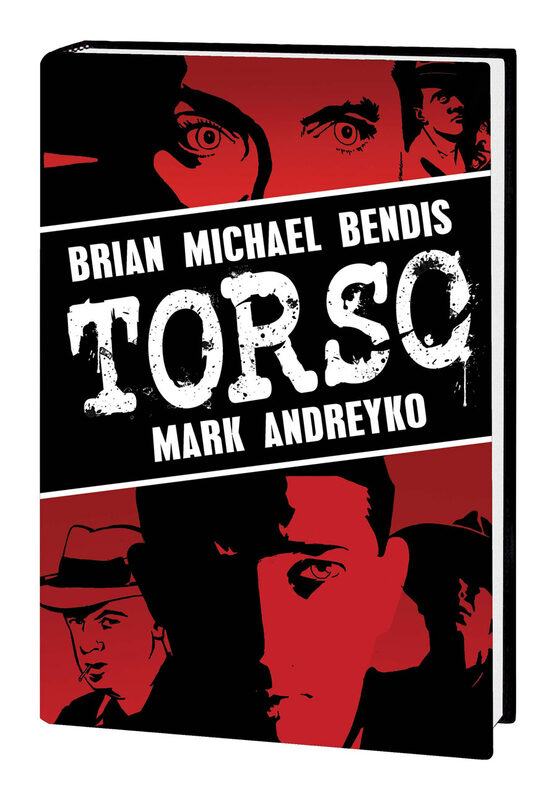 Earlier this month, Marvel reintroduced a refreshed and reformatted edition of the classic, Eisner Award-winning crime comic TORSO, by Brian Michael Bendis and Marc Andreyko to graphic novel readers everywhere. Read on for an interview with Brian Michael Bendis and an excerpt from the comic’s opening pages. How did the writing of TORSO influence your later crime comic work including SCARLET? Torso was one of the biggest challenges of my career. Taking on the responsibility of a true story but abstracting it in graphic novel form is a very large mountain to climb. When Mark Andreyko brought up the idea he was thinking of it only in movie terms, but I became obsessed with the idea of how to do the story is a graphic novel. 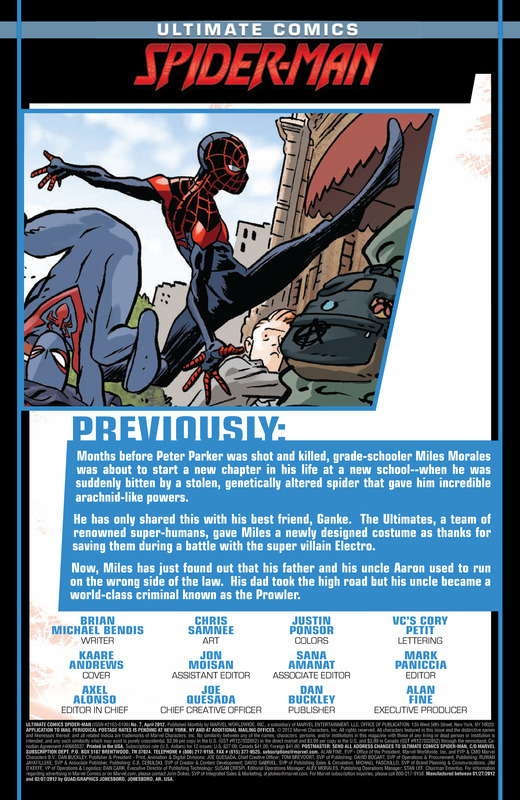 Brian Michael Bendis’s reboot of Ultimate Spider-Man, introducing biracial Miles Morales as the series’ titular hero, had been making headlines before the first issue even went to press. Mulholland Books is pleased to offer an excerpt of issue #7–and don’t miss the first volume collecting issues one through five, in stores now.